Boot android phone or tablet in safe mode for troubleshooting. With the advancement of technology, it also possible to boot our android phone or tablet in safe mode like any other windows and Mac operating system with ease. Generally, one wants to start ones android or tablet in safe mode to trouble shoot problems. 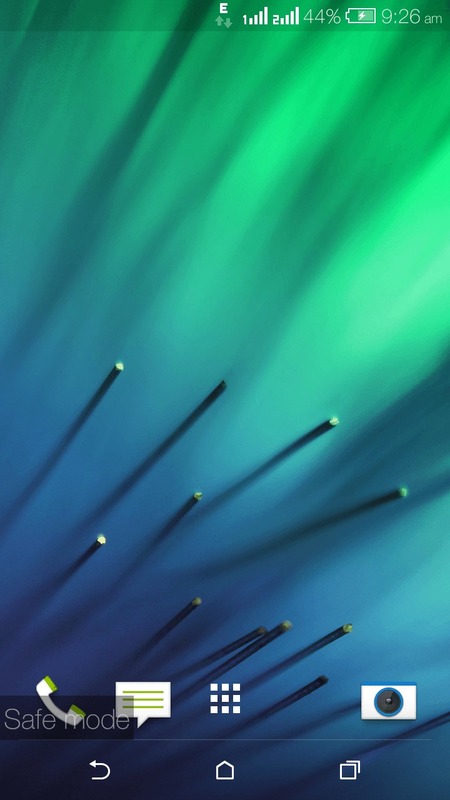 Because in safe mode only application that our manufacture has provided us at the time of purchase loaded and not the third party applications that we have downloaded later . As it’s name suggests “Safe Mode”, it makes diagnoses of most of the problems easier for the user by disabling core components or applications to troubleshoot problems. So for that we take an example of HTC DESIRE 816 android phone and see how safe mode option works in this particular android mobile. Step 1: Firstly press the power button and it will show options like power off, airplane mode, kid mode and restart option. Now tab on power off button till a window like shown below will popup. Step 2: After that press the restart button as shown in the image. 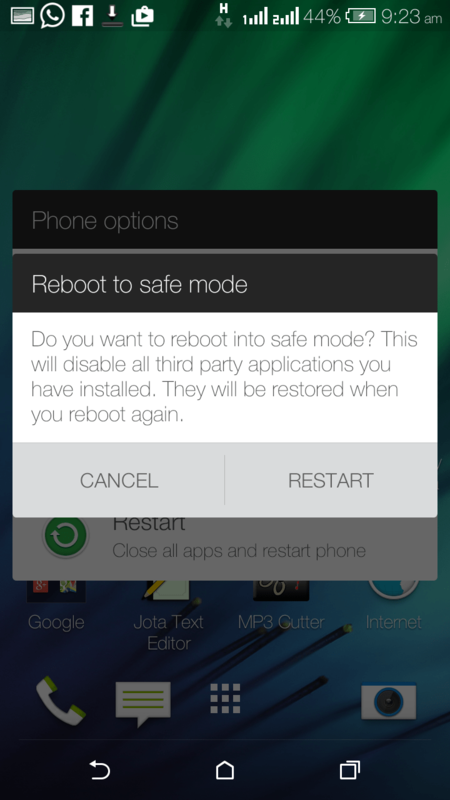 Step 3: Now you will see a label “Safe Mode” at the bottom left corner of your android phone. and you are done. Thanks for the trick… Safemode in mobile.